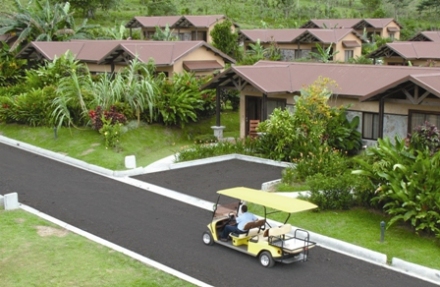 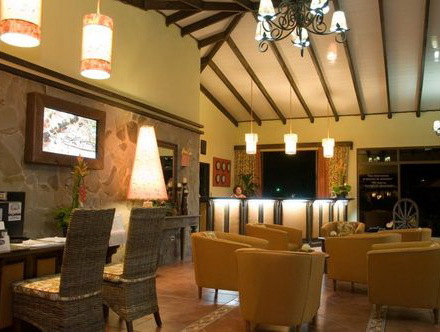 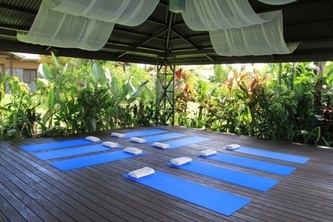 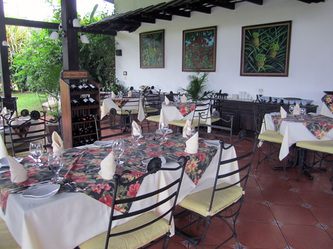 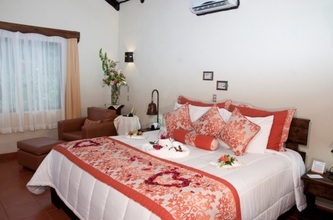 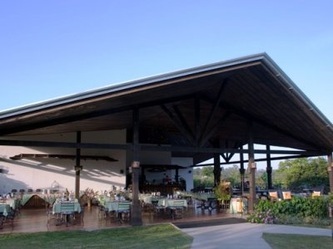 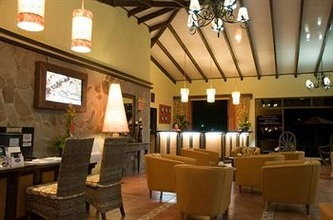 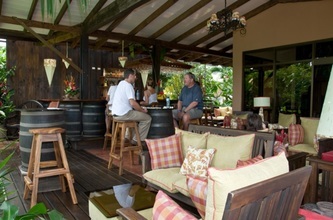 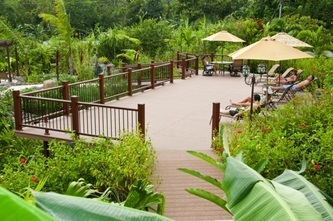 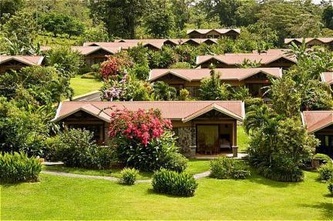 Beautiful Quiet Four Star All Suite Resort with Wonderful Buffet Breakfast. Every suite has a front porch and amazing view of the volcano! 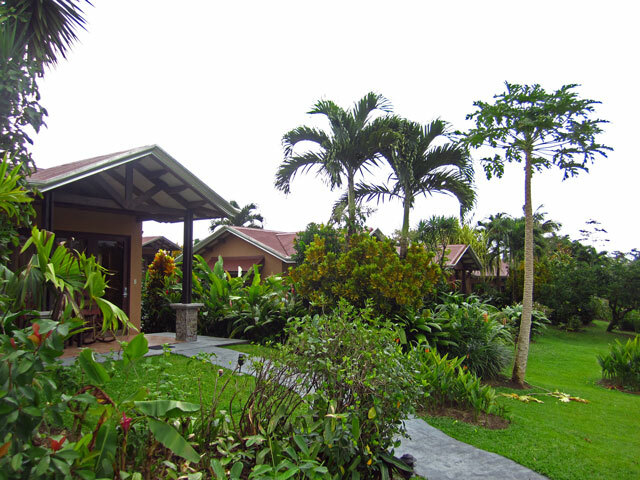 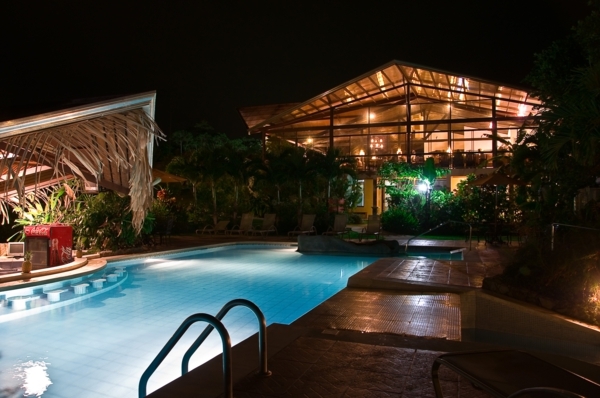 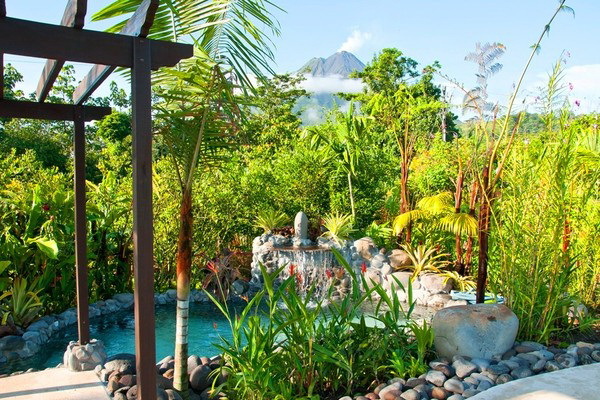 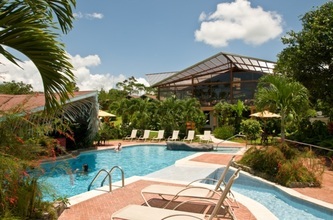 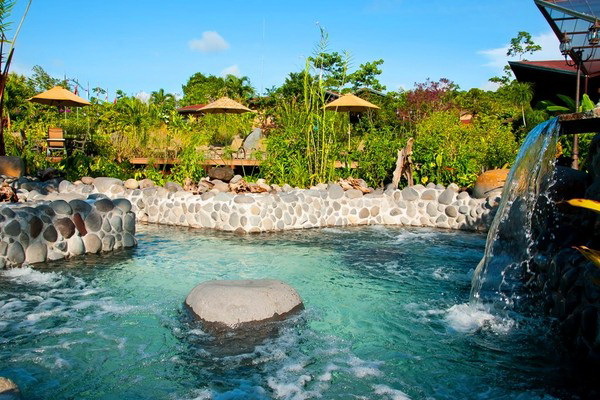 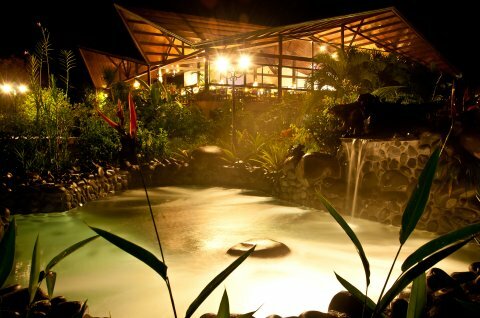 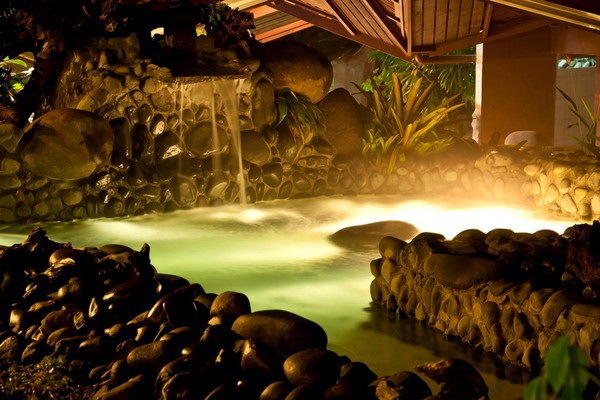 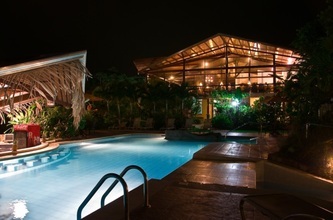 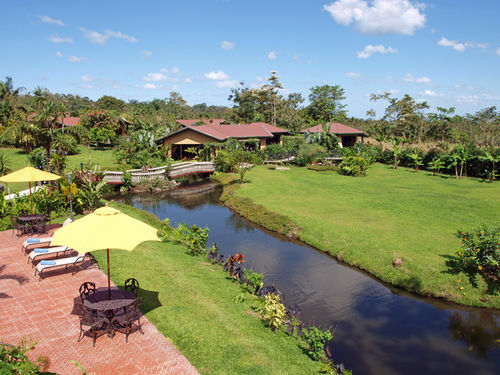 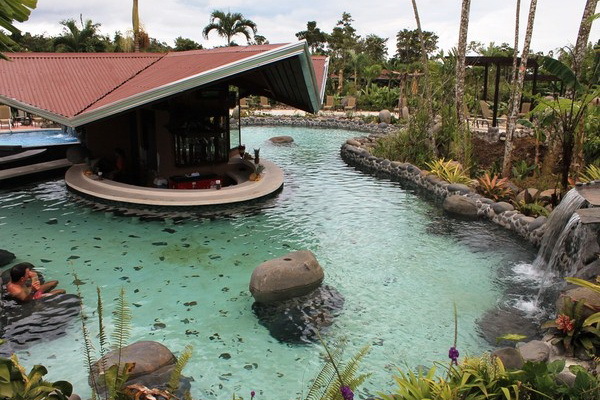 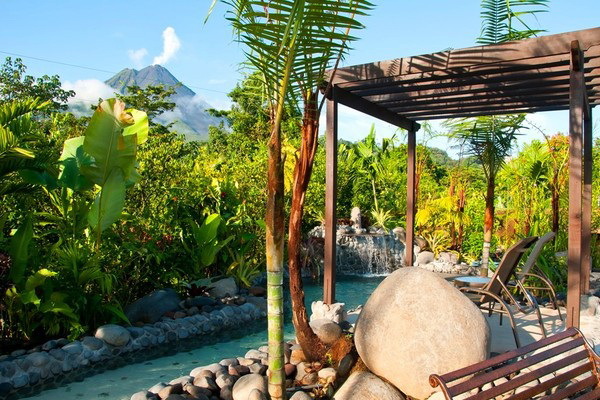 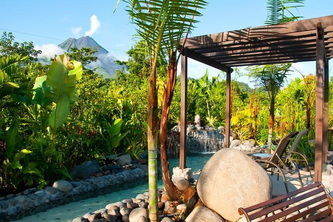 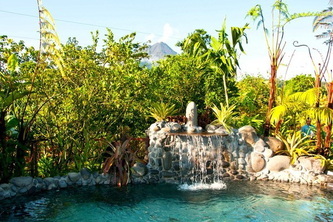 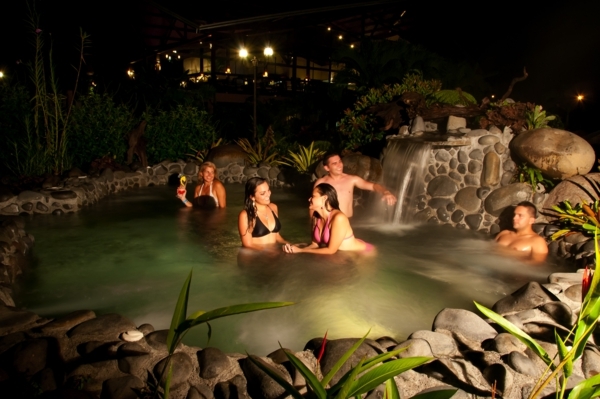 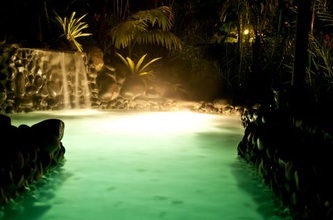 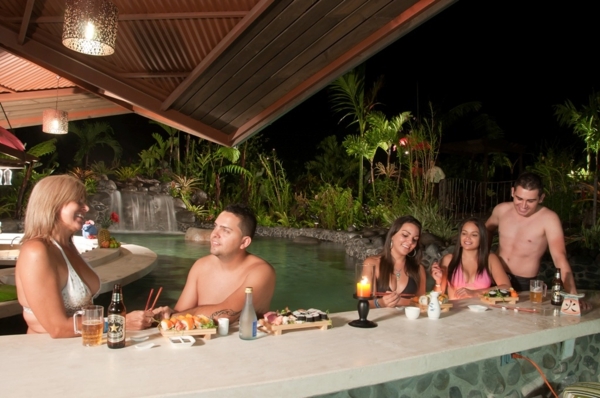 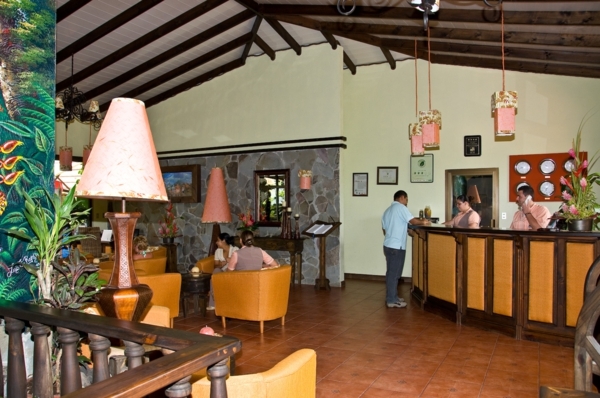 This beautiful top rated four-star resort hotel with its clean thermal river with hot pools and cold pool is located just 5 miles from La Fortuna on the highway towards Arenal Volcano National Park and Lake Arenal. 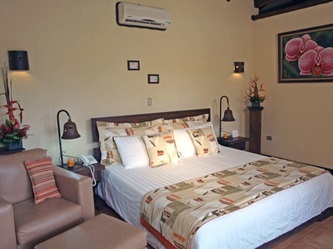 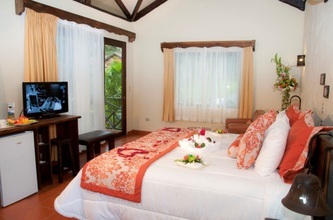 All 87 beautifully decorated junior suites (one king or two queens) are surrounded by exotic tropical gardens with flowers and birds, and enjoy a direct view towards the majestic Arenal Volcano. 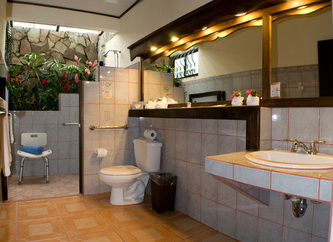 The hotel resort also provides suites with handicap access and adjoining suites for families and groups who want to stay together.